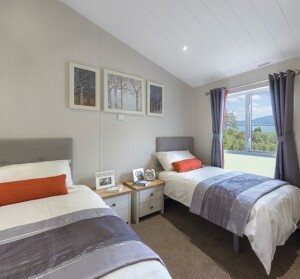 With two bedrooms, double glazing and central heating and a truly stunning open plan living space, the Willerby Portland has a triple aspect to let the light flood in. 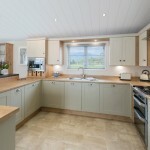 The kitchen, quite simply, is fabulous. 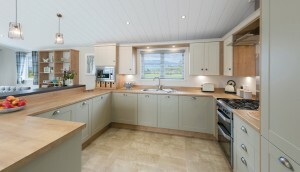 It has been designed in a Shaker style, in two tone heritage colours that give it that luxury edge. 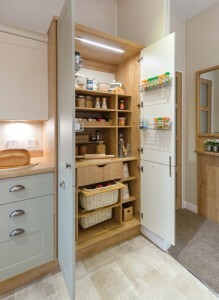 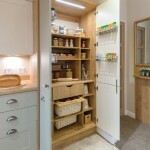 With a huge double larder to store all those kitchen essentials, a breakfast bar for alternative dining options and feature filament lighting, it is bound to even inspire the non cook to throw on an apron and get chopping. 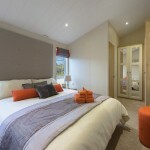 The master bedroom suite feels spacious, with plentiful storage. 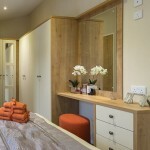 You’ll notice the large dressing table with full height mirrors on the wardrobes, so light bounces around the room, picking up the colours on the beautifully upholstered headboard. 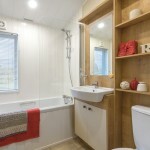 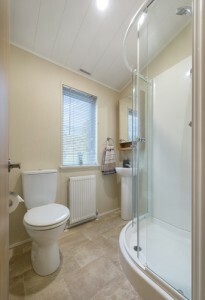 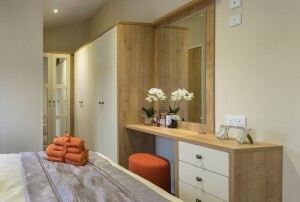 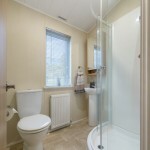 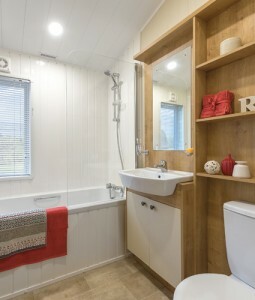 Not forgetting your own en-suite, that houses a huge shower and freestanding pedestal sink. 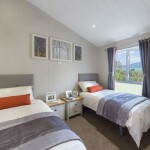 We also like the twin room that can be reconfigured to a double, making it perfect for two couples as you also get a full size bathroom, complete with bath. 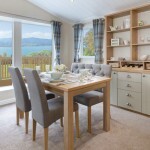 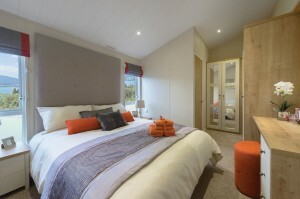 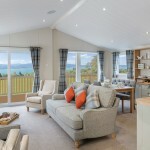 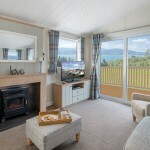 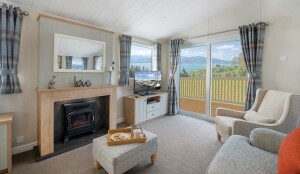 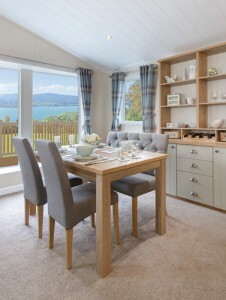 All in all the Willerby Portland combines modern luxury with a heritage feel and stylish touches to fall in love with.